You can now purchase day tickets in person at Fishers, 4 High Street, Ross on Wye. Here you can also collect your booking documents, maps and rules of the fishery. To guarantee your fishing, especially if well in advance, we would always recommend you book online. See The Fishing Passport for day tickets. For 2019 we will also be offering a limited number of spring season tickets, running from March 15th to June 15th inclusive. On enquiry we'll confirm availability, requesting payment to convert your booking. Accepted methods are bank transfer, card payment over the phone, or in person. We aim to respond to booking enquiries within 24 hours, but as we are as active on the bank as we are in the office, then occasionally our reply may take a little longer. If you have not received a response within 48 hours then please contact us again. Coded padlock. Vehicle access and parking on river bank. No 4x4 necessary but the grass can get long in summer after heavy rain, therefore vehicle access not guaranteed. Although only a short section by fishable bank length, if you were to take this as the centre of a mile of fishing, it would be the honey spot. Upstream and downstream you have a large bedrock intrusion, pinching the flow into a deep pool. This is the perfect habitat for chub, barbel, pike and most river fish species. On signing this stretch up we were watching a shoal of over 30 barbel just resting over the lip of the tail of the pool. This is a relatively virgin piece of fishing and with the stunning surroundings and no road noise, will make a day to remember on the Wye. Camping is permitted only by prior arrangement. Vehicle access permitted right down to the river bank. Vehicle access along entire left bank. Footbridge at half way point. Lower Symonds Yat Fishery is 2.5 miles of some of the best salmon and coarse fishing available on the River Wye. Flowing through a limestone gorge towards Monmouth, the river is a mixture of gravel runs and deep channels. Towards the lower limit is Martin's Pool - a deep section of river reputed to hold enormous carp and pike. To coarse fish here you must either be a member of the Seven Sisters Syndicate or make enquiries on taking one of a limited number of day tickets. A small salmon syndicate fish weekdays from March 3rd to June 16th, but day tickets are available at all other times during the season. Parking on both banks just 50m from river. Bookable during the season to salmon fish, Goodrich Court is open for coarse fishing day tickets from October 18th to March 2nd inclusive. It is a well underfished stretch in coarse fishing terms and contains a good head of barbel, along with healthy numbers of chub and dace, and some very nomadic pike - specimens here have been identified as travelling well over a mile from neighbouring fisheries. In the right conditions this also a superb fishery to trot a float. Vehicle access along entire length (weather permitting). 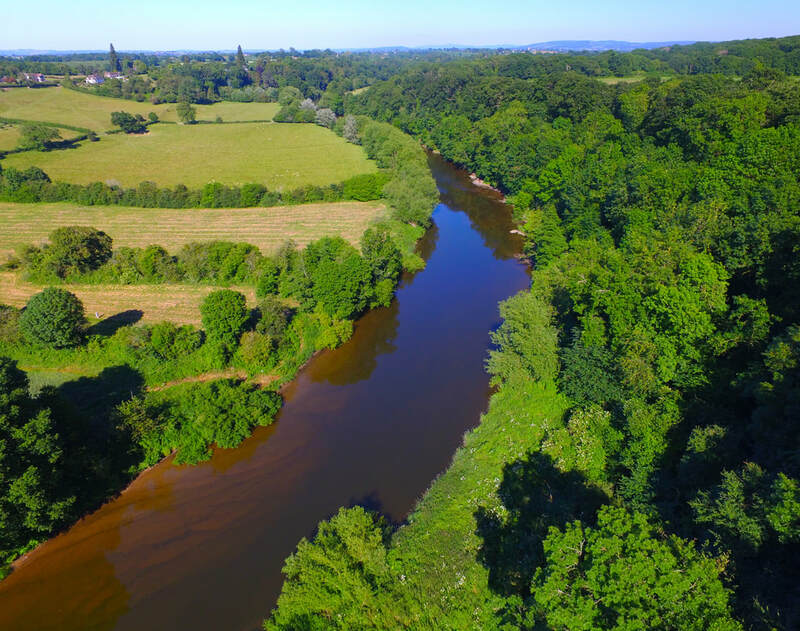 At just under 2 miles of mostly double bank fishing, a few miles downstream of Ross on Wye, LHC is renowned for it's stunning location and the quality of coarse fishing. Although predominantly fast and shallow, there are a variety of in stream features that make this an excellent year round fishery. Whilst offering numerous comfortable swims, much of the fishery is ignored. The rewards are there for the more adventurous angler though, especially if armed with waders. During dry conditions vehicles have access to the entire right bank. When wet there is secure parking just a short walk away. From October 18th to March 14th, no vehicles are permitted on the fishery. Parking on the bank at top end, 200 meter walk to bottom end. 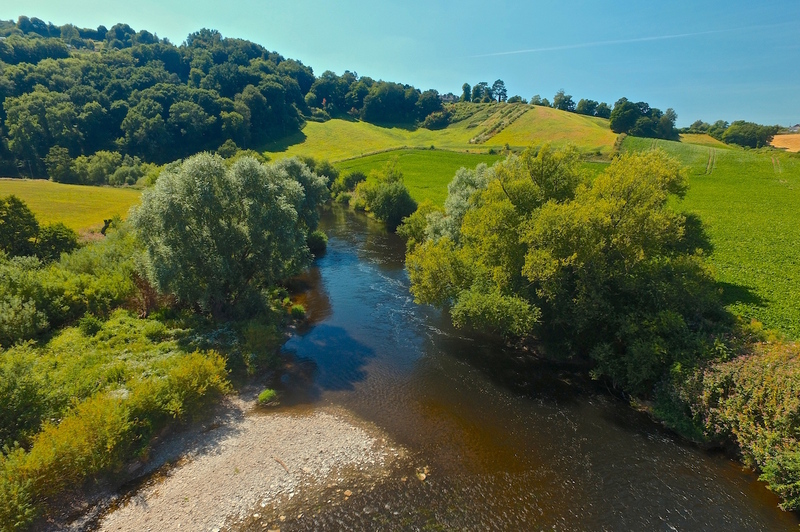 Located between Ross-on-Wye and Monmouth, Middle Hill Court is one of the premier Wye coarse fisheries. Barbel are common in this part of the Wye, with fish often reported into double figures. The chub also reach specimen sizes and with the right approach to watercraft can be found in good numbers. The pike move around from year to year, but it's no surprise when a large fish is reported taking ducklings or following a chub or barbel to the net. Other species include roach, dace, perch and even the occasional carp. This fishery is available through the Wye & Usk Foundation - the link to the left will divert you to The Fishing Passport booking page. Parking on the bank at top end, 50 meter walk to bottom end. 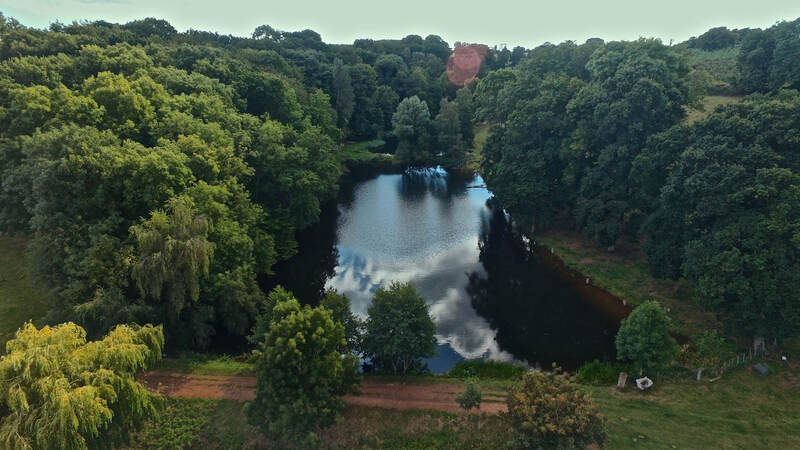 Located a couple of miles downstream of Ross on Wye, Upper Hill Court is approx 1 mile of left bank fishing split into 2 main parts. The upper section is accessible by vehicle right to the river bank, the lower just a 50m walk from the parking area. Specimen barbel have been caught here in recent years and although the access is a little wild in the early summer, the stretch is more accessible and fishes very well in winter. There is no longer a club share with this fishery. All day and season tickets are through Angking Dreams. Parking 10 meters from the bank, vehicle access along top half of fishery when dry. Off road parking on river bank - vehicle access along bank on lower half of fishery (new for 2018). Just over a mile of right bank fishing just upstream of Monmouth. 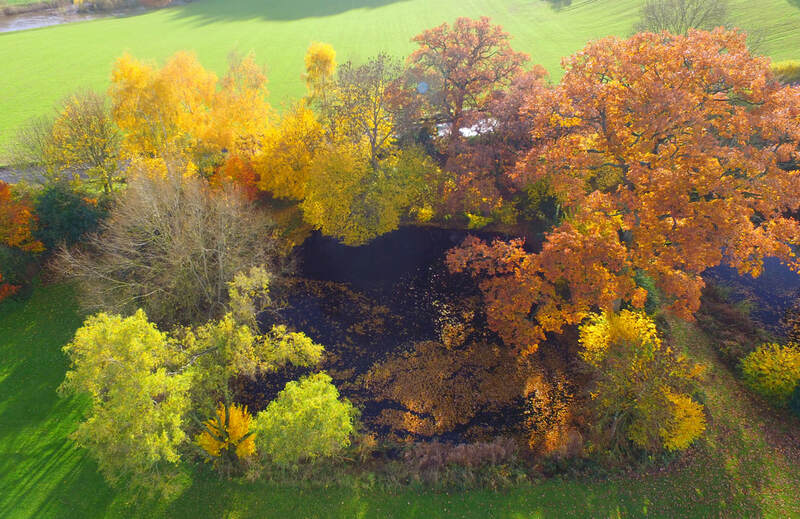 This is a lovely fishery with stunning views reaching up to the Forest of Dean. Access varies from tree lined to open fields, and the fishing has been excellent here over the years. Pike congregate in the slacks below Boys Rocks pool, and the barbel numbers are exceptional, with several double figure fish caught in the last few seasons. As of 2018 there is vehicle access along a large section of the fishery. Drummond's Dub is a 12 acre lake situated a few miles from Ross on Wye. Previously a mixed fishery of diminishing popularity, in 2015 Angling Dreams took over the management of the fishing. With a distinct lack of quality carp waters in the area, our vision was that with a patient and professional approach, we could develop one. To supplement the low stock of resident carp, in December 2016 we introduced 70 of some of the best carp in the country, from VS Fisheries. We followed this with extensive swim construction dedicated to the carp angler. In December 2017 we followed up with another stocking of 40 or so carp from VS Fisheries. We operate a publicity ban on The Dub, as such internet searches will provided very little information. Carp and zander will be the main focus on this tranquil stretch of the mighty river Severn. Trotting a float can yield a real mixed bag with some decent roach and perch reported too. Night fishing permits are limited but there are up to 4 day tickets available per day. Parking is good and access easy, but care must be taken after high tide or following a flood as the banks can be very slippery. With the river Chelt flowing in at the the lower boundary, silver fish gather in the thousands and this is a notorious predator hotspot. 1 mile of right bank fishing on the lower reaches of the Monnow, a few miles upstream of Monmouth. This wonderfully secluded stretch is for the most part a good mixture of riffles and pools, providing some excellent fly fishing for the trout that give this river its reputation as one of the area's finest. The mayfly hatches can be spectacular, so dry fly fishing is excellent during late spring and early summer. This stretch of the Monnow is also host to a variety of coarse species, including chub and grayling. The best of the coarse fishing is towards the downstream end of the fishery where the river is slower and deeper. All year round (closed when fish spawning). ​The upper pool is included with any day ticket purchase. Split into 3 seperate pools, this is a fabulous venue to get away from it for a days fishing. The upper pool is weedy but in 2014 was stocked with tench and crucians. The middle pool has a stock of around 15 mature tench, a dozen large and pristine chub, half a dozen carp of which size is anyone's guess, along with rudd and reports of huge eels. The bottom pool is almost commercial in style - full of carp up to double figures, that will take floaters and just about any bait you give them. Access is very friendly, and if pre-arranged camping is possible too. Contact us for further information. Parking adjacent to each beat. Wading recommended to get the best from the fishing. 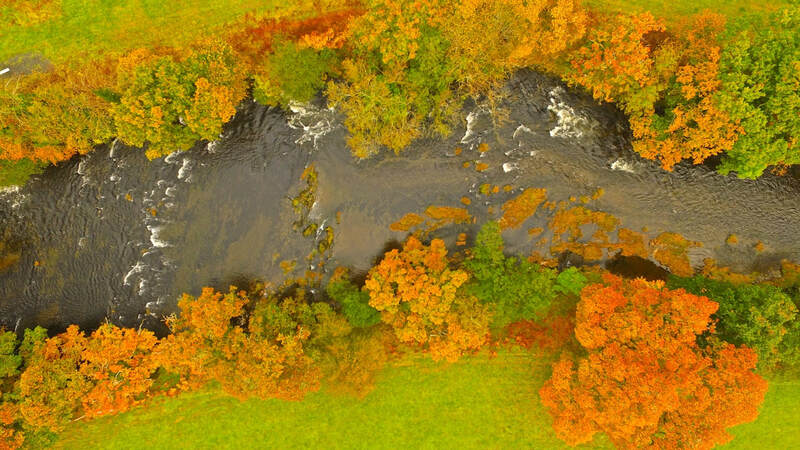 Split into 3 beats, this is some of the best Upper Wye tributary grayling and trout fishing available. The river Irfon is affected by rainfall within a matter of hours, and it fines down in a similar timeframe. Huge grayling are caught here year after year - it's tough fishing but every fish that's banked is worth it, with stories of lost fish that bring anglers back autumn and winter, year after year. Up to 2 adults + children - £5.00 ​for adult, U16 free. Parking adjacent to the pool. Although only small, this farm pond contains hundreds of rudd, along with a few carp exceeding 10lbs. With safe and easy access, in a stunning location, this is the perfect venue for a family fishing trip. Bring a whip and half a pint of maggots and you won't go wrong! This stunning litte venue contains a good head of stocked rainbow and brown trout from Bibury Trout Farm. 6 available - £7.00 for one rod, £10.00 for two. Commercial style carp fishing a few miles from Ledbury. With carp over 20lbs this is a challenge for the carp angler aswell as the match angler. Secure parking next to the lake through a locked barrier.